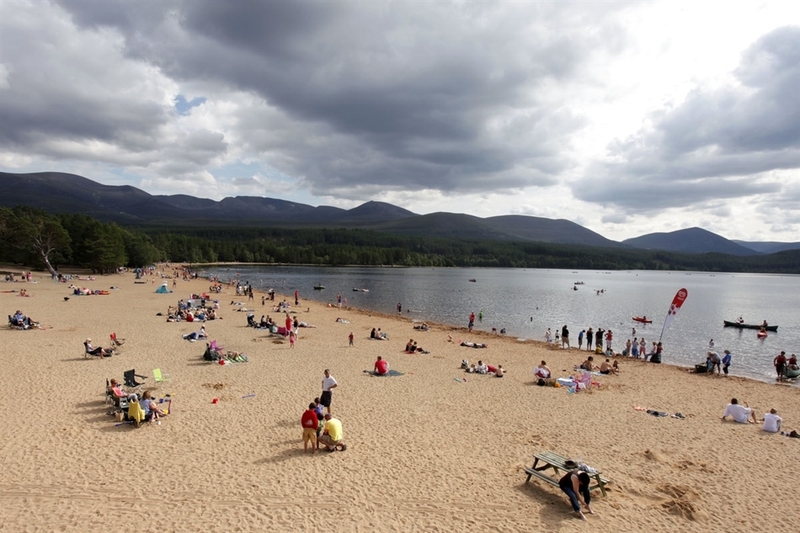 Loch Morlich is a fresh water loch surrounded by sandy beaches and home to a water sports centre and yacht club. Scotland's only fresh water award winning beach is situated at the foot of the Cairngorms, right at the heart of the National Park. 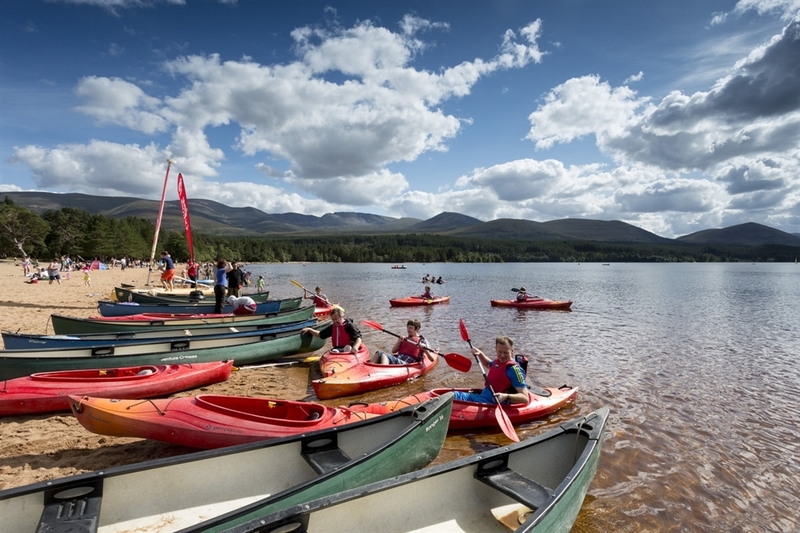 Managed by the Forestry Commission, this beautiful sandy bay, at the end of Loch Morlich, provides an ideal site for enjoying a wide range of activities, water sports and loch side forest walks. The sandy loch beaches provide spectacular views of the snow-clad peaks of the northern Cairngorms. 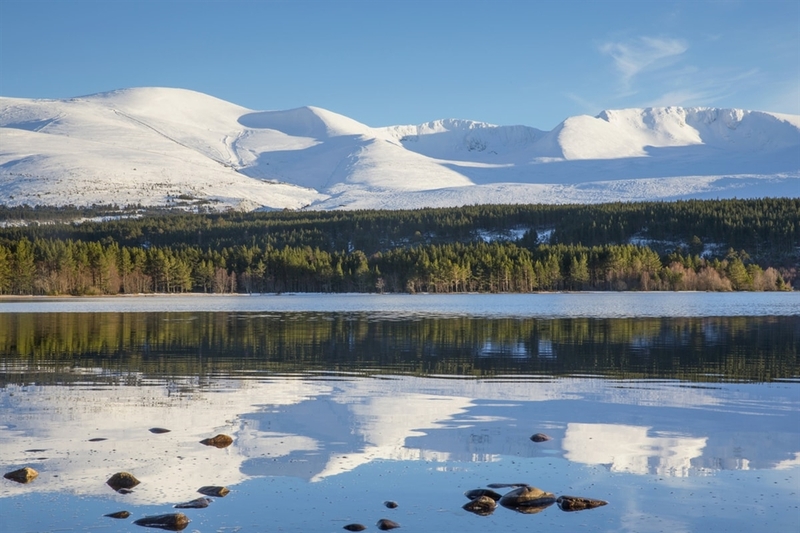 Take the ski road from Aviemore towards Glenmore Forest Park and the Cairngorms. Drive along the loch side to the end. The car park is on the right.